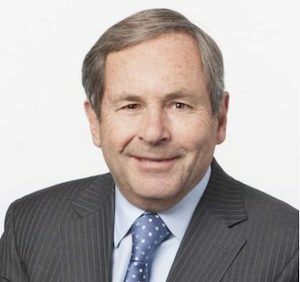 David MacNaughton, a University of New Brunswick (UNB) alumnus, has been named Canadian ambassador to the United States. A business leader, political strategist and strategy consultant, Mr. MacNaughton is currently chairman of StrategyCorp Inc. The appointment will see Mr. MacNaughton, a 1971 bachelor of arts graduate, attempt to improve Canada-U.S. relations, while dealing with ongoing issues such as international trade and the environment. “We are so pleased for David, and offer our congratulations to him as he embarks on this important posting,” said Eddy Campbell, president of UNB. Former New Brunswick premier Frank McKenna served in the post from 2005 to 2006. Dr. McKenna, presently deputy chair of TD Bank Financial Group, graduated from UNB Law in 1974. He received an honorary doctor of laws degree from UNB in 1988. Mr. MacNaughton is the second UNB alumnus to be named ambassador in recent years. Deborah Lyons was named Canadian ambassador to Afganistan in 2013. Both graduated from UNB's faculty of Arts in Fredericton in 1971.